We urge you to take us a step closer towards a future free from dirty coal. We call on you to divest from coal and stop insuring the coal industry. Do it for your customers, for our air and water, for the future of our planet. Every day 53 people in Europe die an early death because of coal pollution. There’s still money to make from burning coal, and corporations willing to put profits over people and the planet. Imagine: with one hand they insure the health of a child who suffers from asthma. With the other, they help fund the coal pollution which makes him sick. Right now one man - Generali’s CEO - is about to decide if the company pulls its significant support for coal. He could save lives, or condemn us to toxic fumes for decades to come. It’s a crucial moment: Generali are weighing their options and about to propose a long-overdue policy on coal. Their CEO - Phillippe Donnet - is the man to make the decision. Together we can ensure he makes the right one. So much of Generali’s business depends on us, individuals and our families, buying their insurance. We have a real say in where the company goes in the years to come. If enough of us - their current and potential customers across Europe - demand they quit coal, they will see their profits are threatened. Our pressure could be what tips the scales. If we don’t act, there’s a big risk that Generali goes for more business-as-usual and we’re stuck with decades more of dirty, polluting coal. It’s time Philippe Donnet, the CEO of Generali, spoke similarly historic words of his own, and there’s a chance that with enough pressure, he might. Generali is the only insurance company this size who hasn’t made any moves to quit coal yet. We need to pressure them to put our health and the future of our planet above their profits. Let’s make coal risky: if it means losing customers all over Europe, Generali could get the push they need to quit coal. De opwarming van de aarde tegenhouden met alle middelen, is dringend. Kafka was an employee of Generali... Is it a metaphor or a real nightmare? Have your say - send an email to Generali's CEO! Are you or your family insured by Generali? Can you take just a moment to dedicate to our shared fight for a Europe free from coal? It’s really easy to send a short email to Generali’s top people in your country and the Group’s CEO in the company’s Italian headquarters. any other personal reason you have to support the petition calling on Generali to quit investing in and insuring coal. These emails address the CEO of Generali Group Mr. Philippe Donnet, Mr. Giuseppe Catalano, the Company Secretary and Head of Corporate Affairs [optional: as well as the office of the director of Generali in Europe. You might also want to include your local insurance agents among the recipients! Generali is a corporation with millions in coal-related assets. But a huge chunk of their profits depends on people like you and me insuring our homes and our health. If enough of us - their current and potential customers across Europe - demand they quit coal, they will see their profits are threatened. Please take one more quick action: send a tweet to Gererali and their CEO to let them know our demands. More visibility means more pressure! Hi, Right now one man - Generali’s CEO - is about to decide if the company pulls its significant support for coal. He could save lives, or condemn us to toxic fumes for decades to come. It’s a crucial moment: Generali are weighing their options and about to propose a long-overdue policy on coal. So much of Generali’s business depends on us, individuals and our families, buying their insurance. We have a real say in where the company goes in the years to come. If enough of us - their current and potential customers across Europe - demand they quit coal, they will see their profits are threatened. Please sign the petition to Generali's CEO! https://act.wemove.eu/campaigns/generali Thanks! 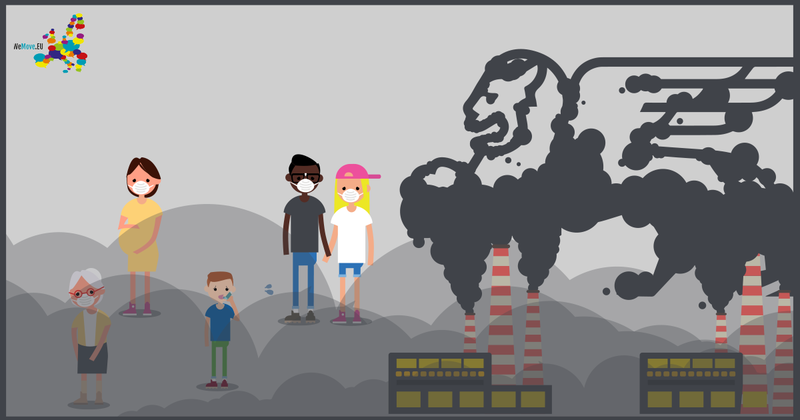 Sign our petition now to Generali Insurance Group and show them that supporting dirty coal means losing customers all over Europe. Our WeMove community is part of the unstoppable wave of people power washing away centuries of toxic coal dust which suffocates Europe. Coal is becoming the past, and you and I are part of that change. But effective campaigns need funding, and to be ready to mobilise and put pressure when and where it’s most needed, we need the stability and flexibility that only small regular donations from our WeMove community members like yourself can provide. Can you chip in each month and help the fight against coal go on? Thanks for taking action! It is only together that we can truly be a force to be reckoned with.